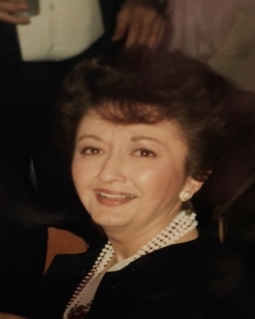 Beverly Jeanne Steffes Fortenberry, 81, died peacefully on Wednesday January 23, 2019, at Touro Infirmary in New Orleans, Louisiana from complications following a stroke. Beverly, known more affectionately as “Bev,” was born to Glenn Steffes and Dorthy Kinske on November 21, 1937, in Dearborn, Michigan. She attended Dearborn High School (Class of 1955) where she met her high school sweetheart, James Edward Fortenberry, whom she would eventually marry. She went on to graduate from Michigan State University with a bachelor’s degree in social sciences and later received a master’s degree in teaching arts from the University of Tulsa. Bev taught high school classes for several years before pursuing an esteemed career in banking and management. After living in Michigan, California, Texas, and Oklahoma, she eventually settled down with her husband and son, James Lawrence Fortenberry, in New Orleans and became the Director of Organizational Development at Hibernia National Bank. She spent many fond years at Hibernia before she embarked upon the job opportunity of a lifetime, serving as the Regional Director of Europe, the Middle East, and Africa for Cohen Brown Management based in London. While working for Cohen Brown, Bev was able to combine her love for travel and banking into a career that would take her all over the globe. She spent the most time living in The Netherlands, London, South Africa, and Australia. She then returned to New Orleans and lived out the rest of her retirement, enjoying life and writing books. Beverly is also known as the “octogenarian author” of three published books, Leadership Lessons… Proven on the Frontline, The Bumble Gene, and Martini Afternoons, and was in the process of working on her newest novel titled Stuff about all of the things that you accumulate and leave behind when you die. Following the death of her husband in 2016, Bev moved into the Poydras Home on Magazine Street where she gained many new friends and lived out the final years of her life. Beverly will be fondly loved and remembered by friends and family all over the globe. We will always remember her sharp wit, sense of humor, and appreciation for life. She is survived by her beloved grand-daughters Phoebe and Avery Fortenberry, daughter-in-law Stephanie A Phillips, DDS, and brothers-in-law John and Jerry Fortenberry and their families. Friends and family are invited to attend her memorial service and internment which will take place Friday, February 15, 11am at Christ Church, 2919 St. Charles Avenue, NOLA 70115, with a celebration of life to follow, location TBA. Arrangements by Tharp-Sontheimer-Tharp, 1600 N. Causeway Blvd. Information 504-835-2341. Condolences may be expressed online at www.tharpsontheimerfh.com.